Bed bugs may be more common than you realize. In a recent study conducted by the National Pest Management Association (NPMA), over 75% of pest control professionals reported finding bed bug infestations in hotels and motels. Bed bugs are tiny, nocturnal insects that can be found in very clean, high-quality lodging as well as in shared-room hostels. All it takes is a ride on a backpack for a bed bug to move from one location to another. While we certainly hope your vacation is bed bug FREE, read on to find out what you need to know to avoid being bitten and bringing bed bugs home. 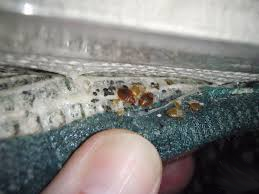 Bed bugs are small, brown or reddish-brown, insects. Nymphs are smaller and whitish in color, so they blend in easily with hotel sheets. Bed bugs are nocturnal insects, so they usually bite at night when you are sleeping. The bites typically appear in a line of three and cause significant itching or burning sensations. What you can do to avoid bed bugs! Check the bed sheets, blankets, mattress seams, and box spring for bugs or stains. Take a good look at the headboard and any chairs or couches in the room. Bed bugs can also hide out in curtains or small cracks in the wall. 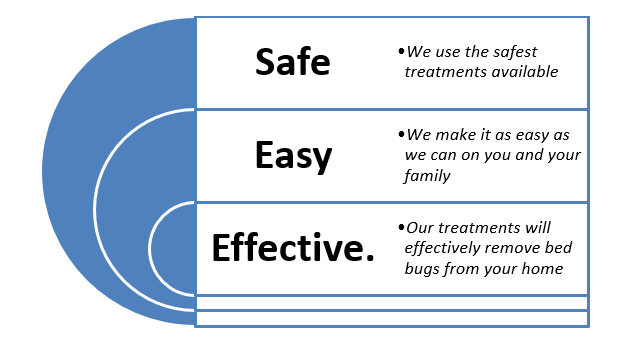 If you find any evidence of bed bugs – the actual tiny insects — or any brownish streaks on the furniture or linens, contact management and request to change rooms. Ask for a room that is not adjacent to or directly above or below the one you were in. To avoid exposing your suitcase and clothing, cover your belongings with a plastic trash bag. If you find bites on your skin, make sure to wash the affected area with soap and water, and use ice and topical antihistamine cream to reduce the itching. Try not to scratch to avoid infecting the area! Bed bugs can travel in your luggage, on your clothing, or in your backpack or purse. When you return home, wash all clothing and contents of luggage in hot water and detergent before putting anything away. Steam and vacuum your luggage, backpack, or purse to get rid of any insects or eggs before they find a new home – in your home. Note: If you think you have an infestation in your belongings, don’t bring them home. Act quickly if you think bed bugs followed you home! If you do find that you’ve brought the bed bugs home, you’ll want to act immediately to avoid a larger infestation. Get rid of anything that has been infested with bed bugs; wash all bedding in very hot water. Ensure that all crevices in the walls are caulked over. Promptly contact Florida Pest Control Center (FPCC) pest removal experts, “America’s bed bug whisperer” company at 866-697-3555. Florida Pest Control Center (FPCC) sets the standard for pest control service with residential, commercial and industrial customers and provides knowledgeable pest control professionals who are thorough, efficient and discrete. The company employs comprehensive, state-of-the art technologies, chemical, and non-chemical treatments to eliminate pest problems. FPCC utilizes an Integrated Pest Management (IPM) approach that begins with a systematic MRI (multi-room inspection) by certified CSI technicians and includes proper detection and identification as well as green pest control treatments. Pest control treatments may also include vacuuming, traps, steam, low toxicity residual pesticide application, as well as customer education. Florida Pest Control Center (FPCC) services are licensed, insured, and guaranteed. For more information or for a free estimate, please contact the Florida Pest Control Center (FPCC) at 866-697-3555. today.